According to the ancient Roman historian, Pliny the Elder, "Apicius, the most gluttonous gorger of all spendthrifts, established the view that the flamingo's tongue has a specially fine flavor." The poet Martial, who was born a few years before Apicius died, agreed, saying: “My red wing gives me my name, but epicures regard my tongue as tasty. But what if my tongue could sing?” They don't actually sing, however. They tend to honk and squawk. Flamingos were common in Africa and may have lived in Italy at the time of the early Romans. There are still two old world species alive and many live among the shores of Portugal, Spain and France. You can also still find them on the island of Sardinia. They were definitely considered a luxury in ancient Roman cuisine. But for some reason, no one seems to eats flamingos any more. Searching the Net doesn't bring up more than a few references, one from an 1879-80 Harpers Bazaar edition for 'young people,' which says that the birds are considered delicate eating in Egypt and the East. The pirate William Dampier describes eating flamingo in his journal: "The flesh of both young and old is lean and black, yet very good meat, tasting neither fishy nor any way unsavoury. Their tongues are large, having a large knob of fat at the root, which is an excellent bit: a dish of flamingo's tongues being fit for a prince's table." Flamingos apparently have a wide, flat, serrated tongue which, interestingly enough, contains erectile tissue to help it eat. Perhaps that's what made it so tasty in the first place? We humans continue to eat the tongues of other birds--ducks in particular. Our local Asian market sells duck tongues and they look so strange pilled up on a Styrofoam tray and wrapped in shrink wrap, ready to be taken home and fried up. There's a recipe for deep fried duck tongue here if you want to be adventurous. It seems that flamingos will remain a food of ancient Rome, however, rather than one of modern times. Scald the flamingo, wash and dress it, put it in a pot, add water, salt, dill, and a little vinegar, to be parboiled. Finish cooking with a bunch of leeks and coriander, and add some reduced must to give it color. In the mortar crush pepper, cumin, coriander, laser root, mint, rue, moisten with vinegar, add dates, and the fond of the braised bird, thicken, strain, cover the bird with the sauce and serve. Parrot is prepared in the same manner. This wouldn't be a very difficult recipe, once you acquired the bird and de-feathered it (hence the scalding). Must is a reduced grape syrup, and you could easily substitute asafoetida (dry roasted to mellow the scent and flavor) for the now extinct laser. Rue is hard to come by but I could substitute ajwain or celery seed if need be. I may have to try this one at some point! 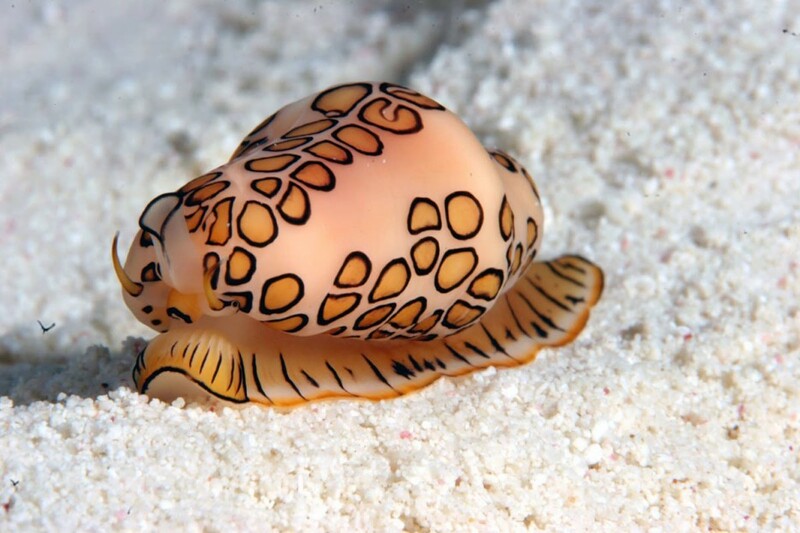 For now, when it comes to flamingo tongues, you'll have to content yourself with the beauty of the Flamingo tongue snail, a toxic animal with a beautiful living mantle with which it covers its simple white shell. If you want to dive more into the crazy, fascinating world of ancient Roman food, check out my novel by clicking on the button below!